To most of us, learning something "the hard way" implies wasted time and effort. Good teaching, we believe, should be creatively tailored to the different learning styles of students and should use strategies that make learning easier. Make It Stick turns fashionable ideas like these on their head. Many common study habits and practice routines turn out to be counterproductive. 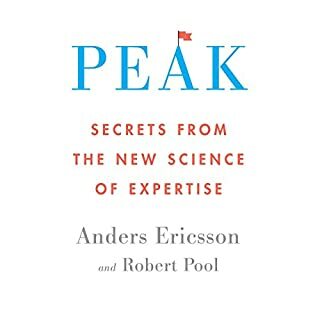 Underlining and highlighting, rereading, cramming, and single-minded repetition of new skills create the illusion of mastery, but gains fade quickly. More complex and learning come from self-testing, introducing certain difficulties in practice, waiting to re-study new material until a little forgetting has set in, and interleaving the practice of one skill or topic with another. Speaking most urgently to students, teachers, trainers, and athletes, Make It Stick will appeal to all those interested in the challenge of lifelong learning and self-improvement. 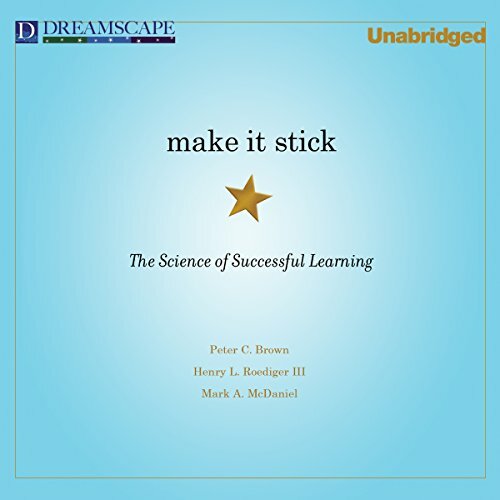 Make it Stick, I think, is the best book that teaches how to learn-- the strategies, what really, really works, not only empirical data, but the researches, the scientific data. Do you think that reading all over again is a good plan to ace tests? Think again. There is so much good information that in the middle of the book I had to buy the written version. But don't be mistaken, the audible version delivers it all. Make it stick is a must! Everybody who wants to increase brain power, that has a limited time to study, has to listen/read it. What did you love best about Make It Stick? 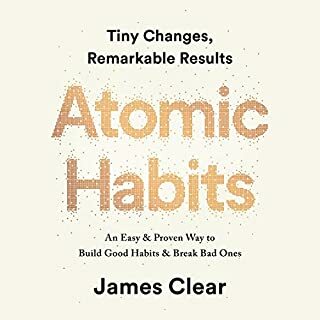 I began listening to this book while I was driving from Northern Florida to Asheville, NC... It was so engaging that the ten hour drive flew by. The book was formatted in such a way that the concepts about learning and retaining information were integral to its own flow. In essence, it practiced what it preached. 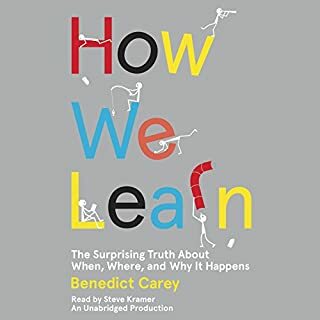 The authors research regarding how we actually learn, as opposed to the way we have been taught to learn was based on years of careful research and presented in a manner which was entertaining as well as very informative. I have recommended it to every person I know who is either a student, or a teacher, or a life long learner like myself. What about Qarie Marshall’s performance did you like? The funny thing is I don't remember the 'performance' at all. That is a good thing. If the narrator is noticeable for one reason or another, I find that distracting and it destroys the flow of listening and learning in a seamless fashion. It was therefore excellent. I listen to and read a lot of nonfiction books in order to learn new skills and hone the ones I have. I'm used to self-help books being about 20% fact and 80% opinion. However, Make It Stick turned that trend on its head. It uses tons of studies, and bases the arguments and recommendations on those instead of cherry-picking facts to suit an opinion. I really appreciated the empirical evidence; it makes it a lot easier to trust the conclusion. I'm planning on assigning this book to my students every semester from here on out. Math became quite advanced in the 1600s. Medicine could barely claim a scientific basis until the 1900s. Education? Education is just starting to get there. The flip flops between "phonics" being the best method to teach reading and "whole language" being the best method to teach reading go back at least to the 1850s because education establishments depended on anecdotal and not rigorous scientific evidence to establish policy. There have been at least four flip flops regarding reading instruction because science was not used to resolve the issue. Many scientific arguments have been made on the subject but not enough large scale controlled studies. This book is not about reading instruction. It is about the use of the scientific method to resolve the effectiveness of competing alternative methods of instruction. Some of the discoveries disclosed by scientific inquiry discussed in this book are diametrically opposite to today's teaching methods and many are quite counter intuitive. I won't go into detail about the content of this book, but one research project discussed in the book demonstrated how little we know. Take two groups of students and allow one group to use computer monitors that display crisp and clear instructional material. The second group gets the same material, but the monitors are sub-standard and the images are blurred but readable with difficulty. Who learns more? The answer? Experiments demonstrated that the students using the poor equipment learned more and retained significantly more. Why? They had to struggle. Unbelieveable, but apparently true. I think about that when I struggle with some of the more confusingly worded Khan Academy problems. You learn from a struggle and not from spoon feeding. This book is not about anecdotal evidence to support educational theories. It is about what has been proven to work in rigorous scientific studies. It was written by educational researchers at universities and not classroom teachers who often hold diametrically opposite views about what works. Take fifty classroom teachers and you may have twenty different opinions on how best to teach any given thing. Our big companies such as Google and Amazon use small scale "A/B tests" on a large number of issues daily. They use the results to scientifically tailor the services they deliver to the public. Primary and Secondary educational establishments run by governmental entities deal more in tradition. There is a trend toward "evidence based" instruction, but often the "evidence" was not scientifically generated with control groups and the examination of alternative methods. This is a wonderful book. Perhaps there will be a day when every educational manager will take it's message to heart and adopt methods that can withstand rigorous scientific examination. Good mix of theory a practical tips! What was one of the most memorable moments of Make It Stick? Learning by mistakes and Blooms Taxonomy. This is probably the most important book I have ever read. I would highly recommend this book to law students or any other student for that matter. If you could sum up Make It Stick in three words, what would they be? Want to learn some "life hacks" that help you better learn on any topic that interests you? This is your book. The problem is that basic advice on how to study works using your short term memory, without giving you long term retention. 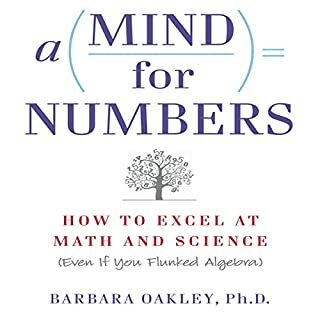 This highly interesting book will teaches the science behind why that is true and shows scientifically verified methods to learn more effectively. Beyond just rote memorization, these techniques help with higher cognitive function as well. 3) the reason why having to generate your own answers to questions before starting to study a topic opens your mind more fully to the material, and more. Two cognitive scientists work with the hard science, but they teamed with a gifted storyteller to get the points across in this easy to read book that can transform how you learn. This is a truly great book that should change how we teach and how we learn. I think the author decided to use all the opportunities possible to hammer a few key conceps into the readers / listeners heads. I get it, you have to self test regularly and review the material in regular intervals and before the lecture. Just don't waste eight hours saying the same thing and using case studies to fill lines on a book. 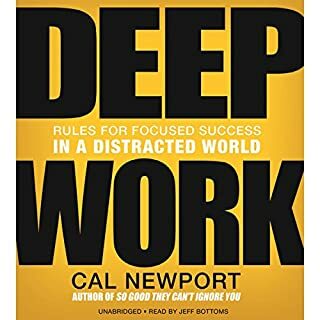 This book does a great job of explaining which practices work best for learning, which practices do not, and the why behind them. Highly recommend. So many helpful points! I now know I can pass my certification test. We should be taught HOW to study in school as children and teenagers. I was studying all wrong & without confidence. No matter what age we can keep our brains going by intentional recall. A little long & repetitive, could have been condensed. But it was a big eye opener for me.